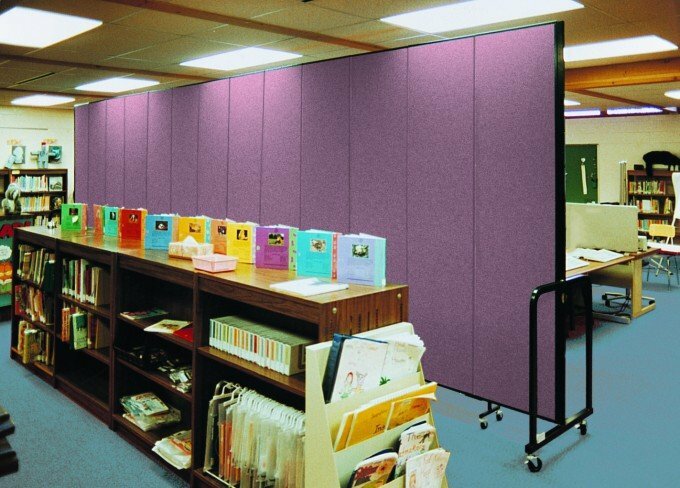 Uses: Elementary School, Library, Schools Colors: Red/Mauve Lengths: 13 panel 24'-1" Heights: 8'-0"
Privacy for the new computer lab in this school’s library is achieved without interfering with the rooms lighting/ventilation by using Screenflex school library screens. The dividers saved the school from having to endure a lengthy and expensive construction process. Screenflex Room Dividers arrive fully assembled and ready to use.